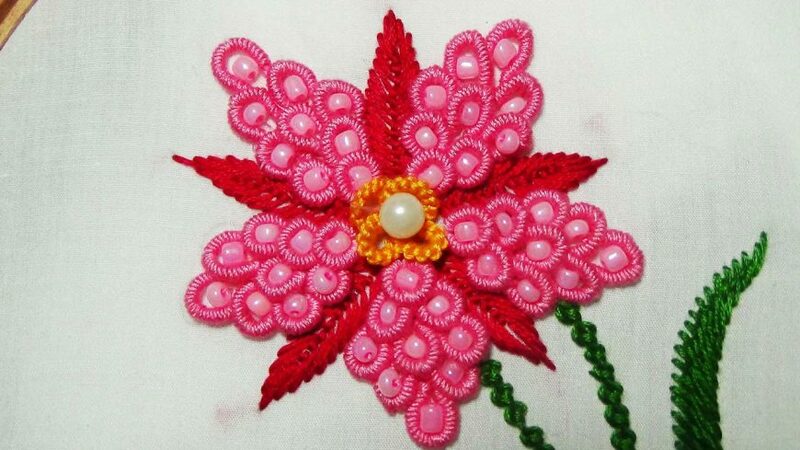 Embroidery is a beautiful form of artwork which is done by using threads and needle. It is used to beautify the items. Beside the threads and needles many other materials such as beads, pearls, quills, metal strips and much other things can be used. However, here at DigitEMB, we provide inspiration and solutions for machine embroidery exhaustive. Stitches play an important role for the final look of the design. So, the embroidery designs and patterns should be done with great care. Of course, it is sure that the stitches make the fabric look more beautiful and attractive. There are different types of embroidery stitches and each of them is used for a specific purpose. To create flawless embroidery designs and patterns is not an easy thing to do, it requires great concentration and practice. Few embroidery designs are stitched on the top part of the foundation of the fabric while others are stitched through it. No matter what, embroidery has proven itself to be an art. And of course, it is! Without a single doubt as there are many companies who are now offering custom embroidery services. We provide our top quality embroidery digitizing services all over the globe. Our services are unbeatable! We are able to deliver in a timely manner! We do not require a larger amount of time. We can create unique, flawless and beautiful designs for you that you’ll be delighted with the fine quality and the stitch details. We ensure that our designs will run smooth on your embroidery machine. The embroidery deigns and patterns offered by us are just beyond perfection! Give us a try. We never failed to satisfy our customers! We have a design for everyone at affordable prices we also offer free embroidery designs and patterns to provide our honorable clients with the services that they truly deserve!